Our school establishes a diverse learning environment for kindergarten students. It not only offers physical training, intellectual education, and language skills, but it also cultivates self–confidence, social etiquette and emotional management skills. All these skills help our students to respect each other and have more confidence in themselves. All faculty members of Tsai Hsing strive to provide our students with a happy and integrated learning experience. As a result, our students develop into well-balanced individuals in the future. We offer a variety of courses and activities for our kindergarten students. For English learning, we invite certified teachers who are native speakers to create an English environment in which students can discuss topics and share stories to help improve their language skills in a natural, fun-filled way. We also put emphasis on music and dancing. Dancing is known to improve students' flexibility and coordination as well as raise their creativity and concentration, while in music students learn how to play instruments to train their listening skills and enhance their memory. Music is not just something the students learn about; it plays a vital role in children's lives and is integrated in all classrooms throughout the learning day. We also encourage all students participate in sports in a no-pressure, fun way. Doing so is not only good for their health, growth and coordination, but it also stimulates their senses. With all these courses and activities, Tsai Hsing kindergarten students have the best education and training in a fun and engaging atmosphere. 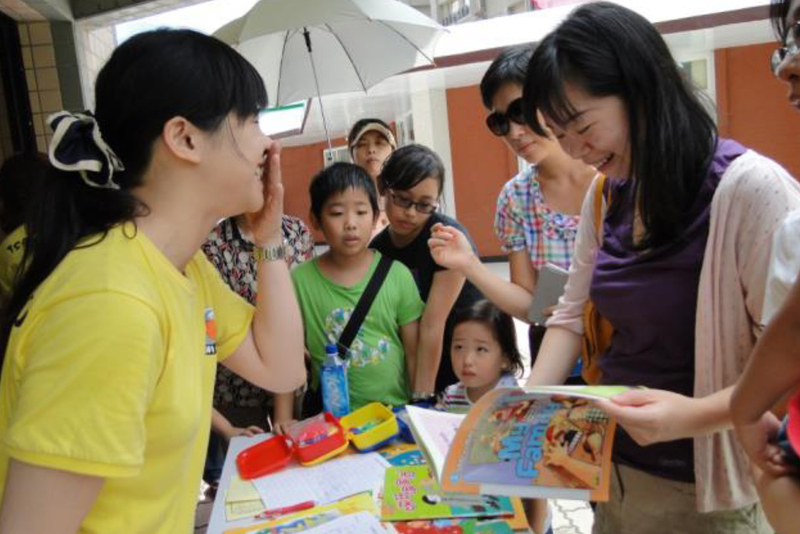 Tsai Hsing school offers different types of activities for parents. For example, there are regular parent-teacher meetings where parents and teachers can get together to discuss children's education. Furthermore, our school provides classes for parents to learn how to educate their kindergarten children and to understand their thoughts and learning processes. After we build the connection between teachers and parents, we invite parents to join and assist in activities, such as playing games, singing, and story-telling. There is a very close connection between Tsai Hsing school and families to ensure that each child grows up in a loving and caring environment both in school and at home.